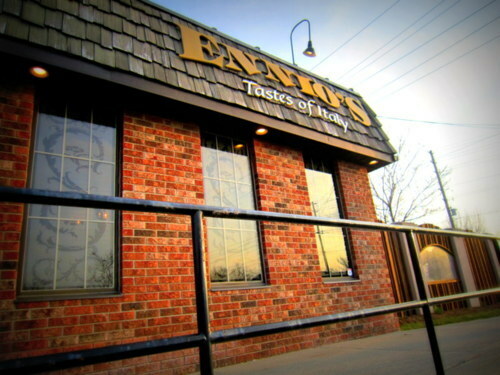 Ennios is one of the few Italian restaurants around (East Side Mario’s does not count), with two locations within the KW region. 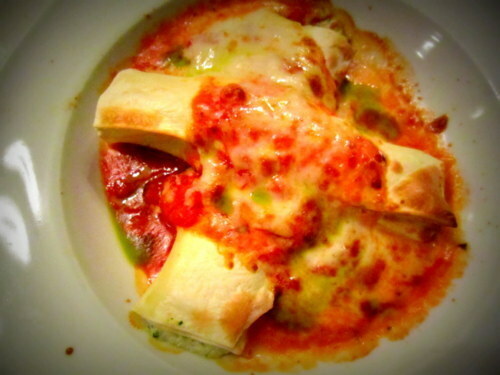 This family-owned restaurant offers a full-fledged menu with elaborated choices of pasta, pizza, and other Italian mains. The exterior is pleasant and welcoming. Stoney brick walls convey a sense of pride for traditional old-fashioned cooking. Instead of the typical square table for two, Y and I thought the slightly rectangular table was ingenious. Square tables become too crowded when appetizers are ordered to share, or with large serving plates. Rectangular table for four feels too empty when only two are dining. This small and simple rectangular table for two really impressed/amused me. Yes, we eat a lot. 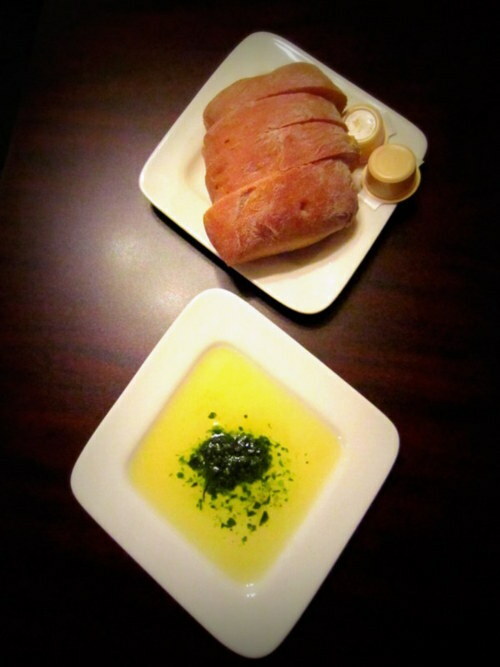 I happily gushed over how beautiful the bread and olive dip looked before realizing the bread was stale and cold. The lack of toasty fresh bread was a heart-breaking moment. 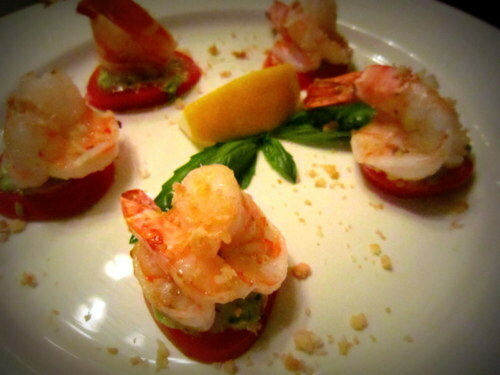 Featured appetizer – shrimp with some avocado, served on a tomato. It was a poorly executed dish and very awkward to eat. Shrimp was not succulent. We had to deconstruct the shrimp + avocado + tomato to eat it properly. We was pleasantly surprised with the generous chunks of brie. The presentation lacked grace, but we appreciated the fresh and crisp butter lettuce. The apple poppy seed dressing was tangy and slightly sweet. 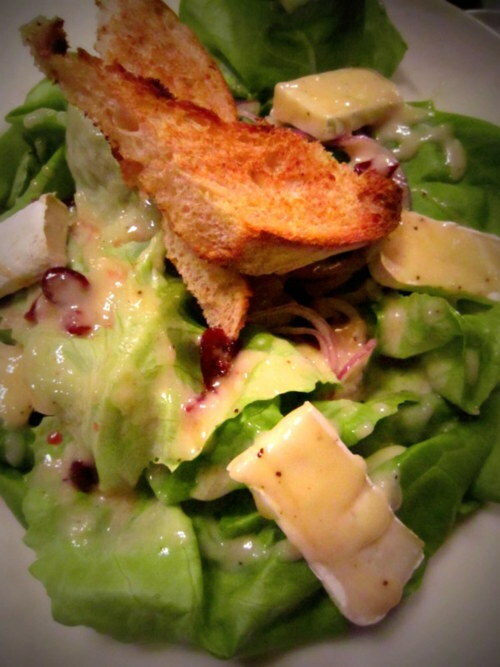 Those elements balanced the richness of the brie. It was a very pleasant and interesting salad. ** Someone please tell me where can I find butter lettuce! They are nowhere to be found in grocery stores or even the farmers market! Y ordered this as he assumed the mushroom risotto was going to be a small compliment to the protein. However, he was utterly horrified with the large plate of mushrooms when the risotto turned out to be the main. 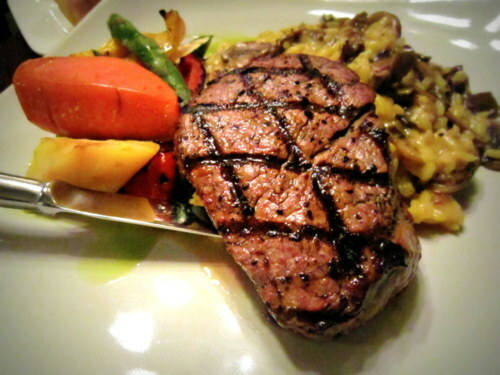 Too much risotto and too little meat for the price of $27. The meat was gorgeous, but severely under-seasoned. It was a tasteless, bland chunk of disappointment. The description was interesting, and I pictured tortellini instead of rolls. It was again, a bland dish with terrible presentation. I am still confused as to how a rich dish with cheese and tomato sauce can be so bland. Perhaps the chef was having a cold…? 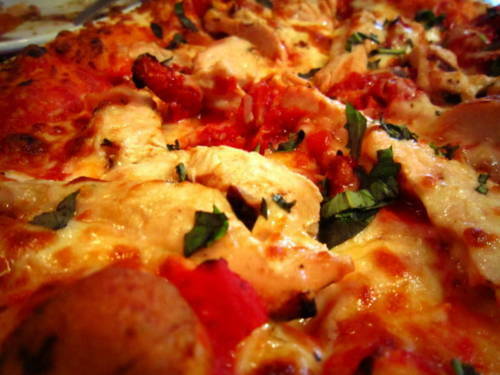 Chicken, mushrooms, sun-dried tomatoes, chopped garlic, fresh basil, tomato sauce and mozzarella cheese. Due to Y’s deep hatred for mushrooms, we requested to have no mushrooms but the pizza still came with them! We demanded asked for a new mushroom-less pizza and the server obliged. Y says thank you very much. It was great. Good ole’ pizza. 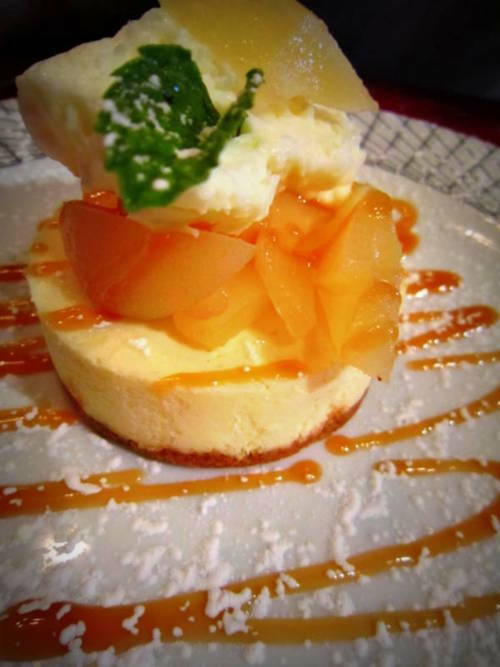 The apple cheesecake was simple and lovely. Too rich for Y but yummy for me. Going to Ennios has been an anniversary tradition for Y and I. We love tradition, but realized that we really only visit once a year. 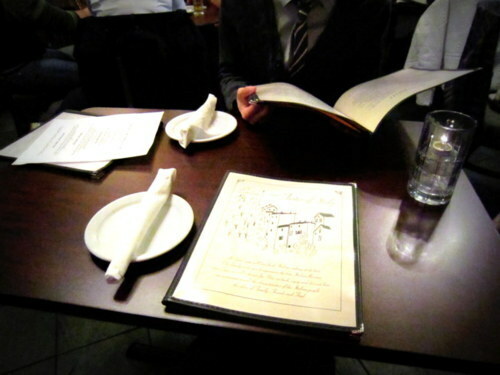 The increasingly disappointing dishes made me wonder if it is time to break the tradition, or give it another chance…?